We’ve talked a lot about social and content marketing best practices, marketing ideas, and promotional options for your restaurant. The end goal, of course, is to drive more customers, boost sales and increase profits. But, wouldn’t it be great if you could convert a consumer’s discovery of your restaurant into action immediately? There’s good news. You can. 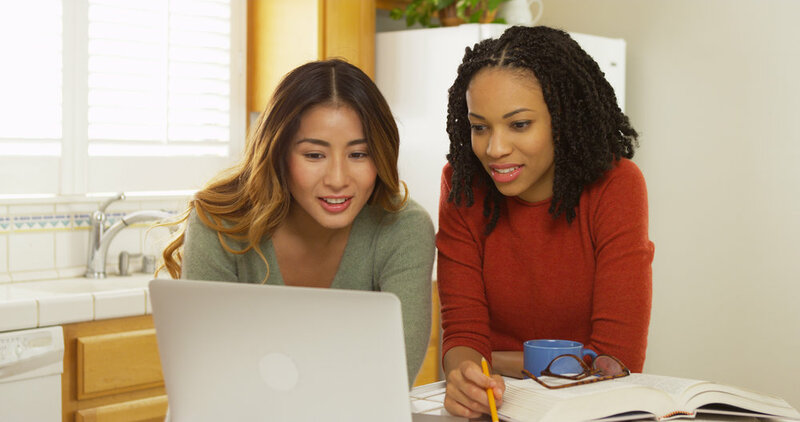 With all of the ways to build a brand presence online, it may seem difficult to quantify the effort you’re putting into it. You can gain thousands of followers on social media and monitor your monthly website traffic, but how does that translate to in-house sales? As a restaurant, you don’t operate as an e-commerce business, so you need customers to either come in to dine with you or order food for delivery. With a goal of converting people from online researchers to restaurant diners, it’s wise to provide the opportunity for an individual to act on their interest in your business immediately. Online reservation companies like OpenTable and Resy allow people to book tables for specific dates and times with a few clicks. ChowNow, Postmates, UberEats, and Seamless offer app-based delivery services in major cities. These companies were created to make it even easier for diners to visit or order from you. In a world where we’re getting more dependent on technology (and arguably lazier) they’ve enjoyed huge success. But, when a customer is checking out one of these sites or apps directly, they already have intentions. They’re either starving right at that moment or planning an event in advance. Capturing these unique opportunities for more business elsewhere helps to increase foot traffic and sales. 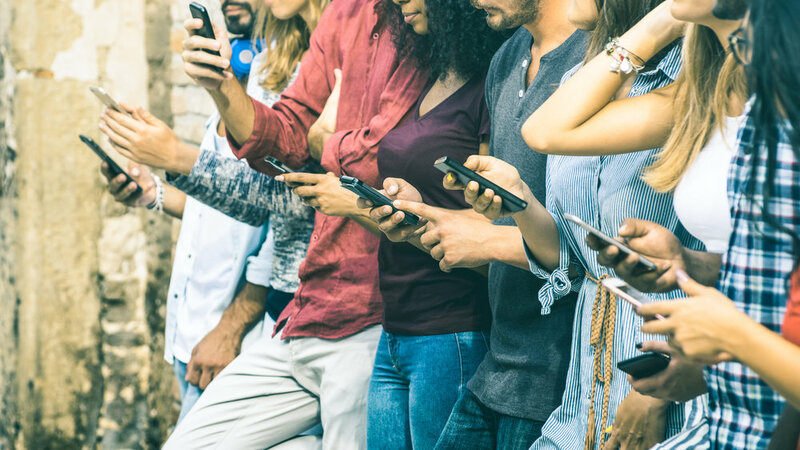 We already know social media is popular. How popular? Over 3 billion people use social media each month. And social media users spend an average of 135 minutes online per day. They’re liking friends’ photos, scrolling through feeds, looking at ads, and finding new businesses like yours. This is the perfect opportunity for your restaurant to turn that discovery into an action. Instagram realized this opportunity for conversion and acted on it. They recently launched their brand new restaurant reservation service. So, what does this mean for your restaurant? 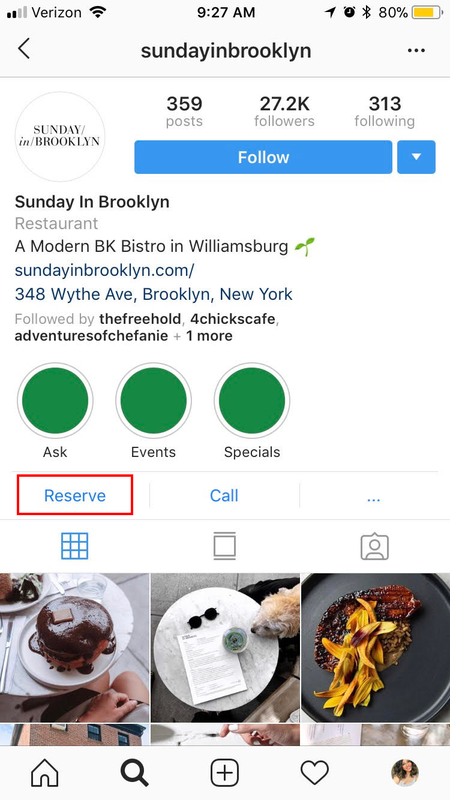 Diners can now book a reservation with you without having to close out of their Instagram app. This is convenient. But, it goes beyond that. It’s an opportunity to capture a customer at the moment of inspiration. Say that social scroller just stumbles upon a really delicious-looking steak you just posted to your account. It inspires them to go directly to your restaurant Instagram page to find more delicious photos. They start looking through new posts, old posts, and customer comments. They think “Wow, I really need to try this place out.” Now, you’ve made them hungry. Before they know it, they’re clicking on your reservation button to secure a spot for Saturday night. Without the influence of social media and that discovery, they may have never dined with you. A discovery was turned into an action immediately. And now you’ve not only gained a loyal social follower, but a customer. Your online menu matters for a number of reasons. Having it distributed across the sites that people are searching on helps you gain visibility. Being able to easily update your menu with new specials and prices is essential to keep customers informed. It’s a powerful marketing tool for many reasons. But, it can do more than just show what cuisine you offer. If your online menu is in the right format, like on a SinglePage, (which is your SinglePlatform menu on its own webpage), it can host online order and reservation buttons. What better way to turn a discovery into an action than being able to order or reserve right after you’ve checked out a menu? People viewing your menu have high-intent. They’re hungry right then and there, or they’re looking to plan a special event for a later date. What your restaurant offers is of most importance to them when performing an online search. Once they can see that you have want they’re looking for, the next step is to act. Book a table. Place and order. Turn discovery into action. When using SinglePage (available to all SinglePlatform customers), you can choose to incorporate an action button. It will appear in the right hand corner of the menu. Once a customer clicks on the “order online” button, they’ll be immediately be redirected to the delivery service (or online reservation) service you use. From there, they can place the order, checkout, and wait patiently for their meal. Just like that, an online menu view was converted to an in-house sale. There’s no better way to close the loop. As technology continues to advance, there are more and more ways to do things easier and more efficiently. As a restaurant, you still need your in-house business, whether it comes from a person dining with you or ordering takeout. But, just because your business is brick-and-mortar, doesn’t mean you can’t turn an online discovery into a tangible action. Instagram is the first social media channel to make it easy for consumers to take action right within the platform. Here at SinglePlatform, we already give your customers the opportunity to take action too. We understand the importance of giving consumers a chance to act at the moment of intent in order to drive more sales. That’s why, in the last six months alone, we’ve powered over $2 million in online ordering sales through our action buttons. Like anything else, we’re sure more social channels will follow suit on this reservation concept, but the opportunity to provide action is available to you now. Consider taking advantage so you can start turning more researchers into customers today. To learn more about how SinglePlatform can help you turn discovery into action, contact us today. People are Searching for “Restaurants Near Me.” Are You There?